Drought manifests in those periods and areas where evapotranspiration, (that means the sum of water vapor in the atmosphere coming from the soil and from plants transpiration) it’s superior to hydric resources of the terrain. The evapotranspiration obviously, is way more intense during summer period; in fact in order to counter-balance the water dispersion, it is necessary to have available a great reserve of water into the soil, or to hope for adequate (in terms of frequency and abundance) rainfalls. When plants cannot find enough water to counterbalance the transpiration, they enter into an anabolic stasis (they stop to produce), with consequence, drying out. Some plants, the ones which grew and developed in environments poor of water, are capable to save water and survive for long drought periods. For example, the olive tree is characterized by very particular leaves and a large roots net: through the leaves it can do gas exchanges and reduce the water loss, through the roots though it can explore very large volume of soil and dig very deep in order to find water reserves. Other plants by the way have physiological mechanisms which permit to extract water from the earth with more strength or to gather it within the tissues when the water it’s abundant. For what concerns cultivated plants, there are some varieties more resistant then others, but they have all the same necessity: have good hydric reserves. For example, sorghum and sunflower are more resistant than corn and soy. In general, Mediterranean plants have better capacity to resist to Middle – North Europe’s drought. However, there are various strategies: as instance, crops as the wheat, thanks to their Autumn-Spring cycle, they are able to escape from the drier summer period. The quantity of water which the soil is capable to contain, depends on: its composition (balance between sand, silt, clay), its structure and also on the level of humid organic substances. Well-structured clayey grounds, that means with a good net of micropore and with a good amount of humus, are the ones that can retain more water, in opposition to sandy grounds. In the soil, water can be found on three different status: absorbed by the colloidal matrix of the soil (in this case is little or nothing at disposal for plants, because it’s kept by an high tension generated by chemical bonds); invades and occupy the micropores by capillarity (in this case, the tension is generated only by physical phenomenon; is less strong than the previous and it’s always at disposal for plants); fills micropores and in this case it is subjected to gravitational phenomena, that means the water goes deeper as it finds “space”. The first two estates define field capacity, all three though define the maximum water capacity which matches saturation (typical of water stagnation phenomenon). The global warming, defines an increment of potential evapotranspiration and a mutation of rainfalls, that means a difference within the frequency and intensity of rain and in general the quantity of water fallen in one region. The combination of these two aspects it’s causing an extension of arid and semi-arid areas; furthermore, it generates major uncertainty. The farmer has to finalize water saving strategies in order to value this resource by favoring the accumulation in the soil, avoiding soil salinity, choosing suited species, adopting a proper and efficient irrigation system. These activities are part of sustainable agriculture. There are two conditions to achieve this objective: to favor the water infiltration in order not to allow the water to escape through the draining net; to improve field capacity, that means its collectible water volume. When working the soil letting the clods exposed to the air, it happens a consistent water loss in the soil, especially in period characterized by a medium-high level of evapotranspiration. The aim to augment the water infiltration phenomena through this manner, often is not positive, especially in areas where the climate is nearly arid, because the rains are not constant every year so they can’t supply enough water (lost). With this method we can say that the loss of water is certain; on the contrary is in doubt its restoration. So, this method is not suited for a water saving view. 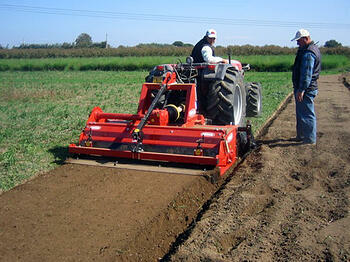 In this case, conservative minimum tillage techniques are more efficient, because they let the soil settled. Also, the presence of crop residues on the soil surface helps to reduce the evapotranspiration and, in case of heavy rains, the water flow on the surface; the water flows slowly, it gains time to penetrate in the soil. In traditional tillage operations it’s very helpful to make a soil settling job after the initial soil preparation, lowering the degree of evapotranspiration due to excessive soil exposure to the air. Another good technique to favor water saving, still aiming to maintain the soil covered, is to insert into the productive circle, the so-called cover crops; in this way the soil will not stay bare between the crops periods. In order to obtain a deep-water infiltration (augmenting the soil water-collecting capacity) it is necessary, on hard soil, to avoid tillage processing which can produce a processing sole, to avoid the soil trampling and, with consequence, the making of tracks; a positive effect can be obtained by occasionally (two or three years) making plowing operations with implements presenting straight or laterally curved blades. In fact, the processing sole slows down, till to prevent, the water infiltration in the soil deeper layers, reducing the soil volume otherwise available as water tank. Soil trampling obstructs macropores, that means the channels through whom the water can rapidly infiltrate in the soil, and reduces the micropores, the true soil water tanks. The continuous succession of compacting and porosity restoration (temporary) processing, causes the soil disruption with consequence the loss of micro-porosity. The ideal solution to obtain water saving is represented by the limitation of the soil trampling and by the reduction of the soil processing. Once infiltrated in the soil, water must be protected in order to avoid evapotranspiration with consequence water loss. During the summer, or non-cultivating periods, it is useful to proceed with a superficial tillage, with aim to interrupt the water capillary ascent, favoring the forming of a thin superficial layer which protects the layers underneath, which is still pretty humid. 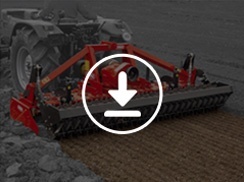 In crops characterized by spaced rows, it is necessary to consider operations such as weeding, which breaks the surface crust, interrupting the water capillary ascent, preserving the hydro resource in the soil. 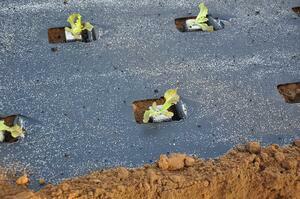 Mulching using plant-based material or biodegradable films, plays an important role in the water saving scenario. In fact, besides avoiding the growth of weeds (whom can affect in a negative way the water reserve in the soil), it restricts heavily the direct evaporation from the soil. 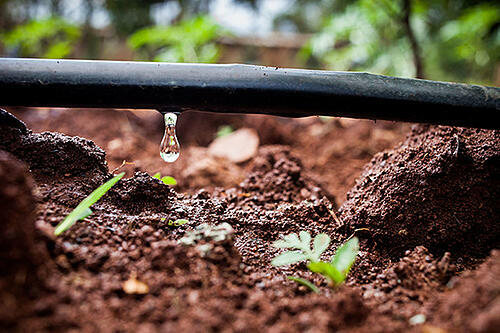 This technique in fact, allows to value the water supplies of the soil and, when combined with the T-tape irrigation systems, allows to reduce the water consumption during irrigation as well. During the seedbed preparation, making raised beds, supply to the crop a soil with adequate level of humidity for the roots growth, even in rainy periods. The crop then can develop a better roots net, capable of exploring a greater quantity of soil, easily resisting to the drought periods. The combo of mulching and raised beds guarantees ideal crop conditions. The organic substance improves the hydro capacity of the fields and the water infiltration as well. Thanks to its hydrate capacity, and most important, thanks to the binding action of the soil particles, offers more stable agglomerates, preserving the soil porosity. For such reasons, all the techniques which are involved into the soil management and aim to the augmentation of the content of organic substance, help to improve the soil hydro capacity, increasing by consequence the general water save. In order to defend the water resources of the field and to reduce the plant’s transpiration, it is very useful (if not essential), to construct windbreaking barriers. These barriers can be bushes or hedges which can reduce the effects of the erosion by wind, a dramatic phenomenon in various Italian areas. 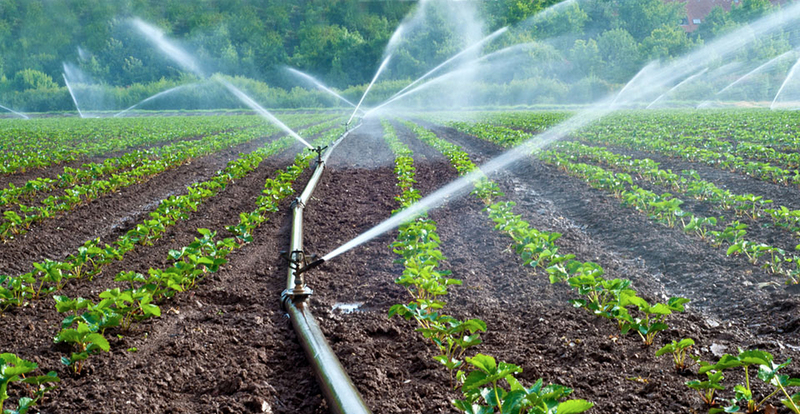 Irrigation is useful during the crop development and production phases, that is when there’s a scarcity of water. 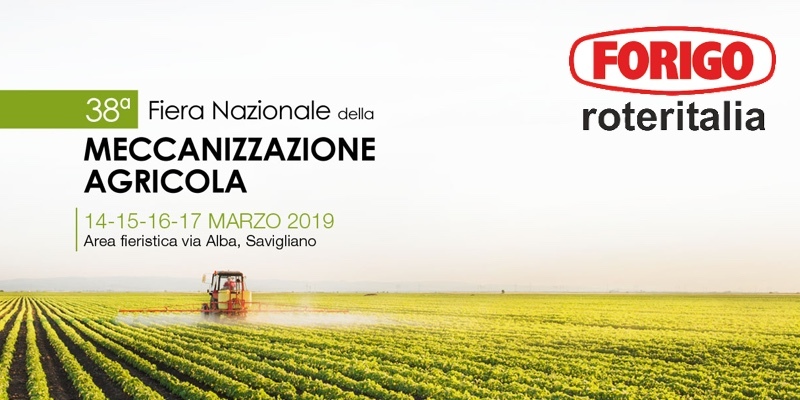 In Italy, there are nearly 4,7 million hectares which are irrigated, 70% of them located in the North, 9% in the Centre and 21% in the South. The water is collected from the rivers for 67% of the total, 27% from underground reserves and 6% from artificial tanks. In agriculture, the number of years characterized by drought is increasing with high frequency, and during this year the water needs overtakes the community resources. In the Po Valley there are a lot of basins whom during particularly dry summers enter in an estate of crisis due to the lack of water. The cause of this problem starts from the diffusion of inefficient irrigation systems (with efficiency we indicate the ratio between quantity of water used for the crop and the quantity of water collected by the pump). The less the system is efficient, the harder will be to catch the goal of water saving. The most inefficient systems are the ones which operates by flooding (25%) and flowing (30-40%, if done through grooves can receive 50% efficient) provoking a huge soil nutrient leaching. 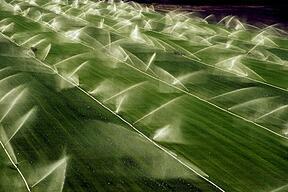 Irrigation systems which use sprinklers can grant an efficiency between 70 and 80%. Negative aspect is though, that they need a lot of energy because the water is expelled with high pressure. They are divided in fixed plants (like for instance in orchards, where they are mainly used for climate mitigation) or mobile ones (the most common version) based on pivots or rangers. The most efficient irrigation systems are the ones able to distribute the water in very precise points (85-90%), that means in proximity of the plant, near to soil or directly into it. In this way there is a saving of time in terms of water exposition to the air and water flowing from the pipe to the roots. Furthermore, compared to sprinkling systems, the whole quantity of water reaches the soil, instead of stopping on the plants stems, where it evaporates very easily. With the pipe system by the way the water losses due to direct evaporation are very low, with consequence, a better efficiency. 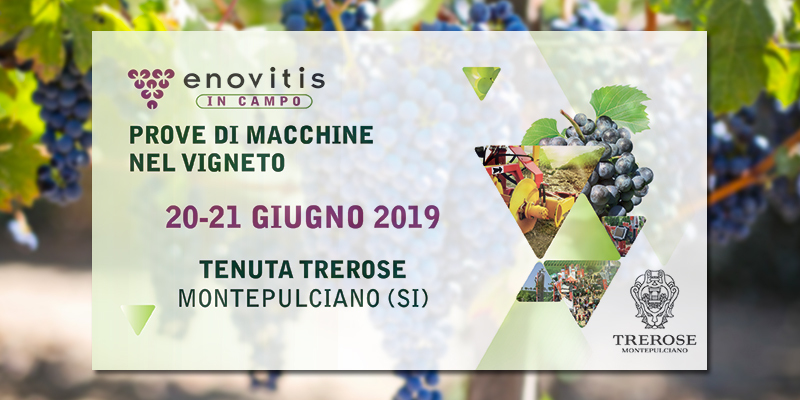 There are a lot of solutions which permit to use this system on plants and conventional machines, like for instance removing the sprinkler distributor and replace it with equipment able to distribute the water more precisely. 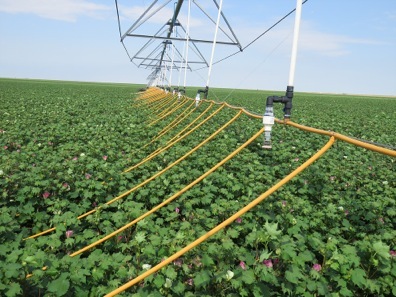 The choice regarding the irrigation systems is complex and it has to be done not only in the crops view and the availability of water, but also considering the soil characteristics (texture and infiltration are very important) and the water quality. In fact, it is necessary to know: the salinity degree of the water, its quantity of sodium, and, also in relation to the rainfalls, choose the proper system on order to avoid the accumulation of salts in the layer explored by the roots. As previously said, water is life: everyone must work in order to reach a responsible use of it, trying to limit its waste. 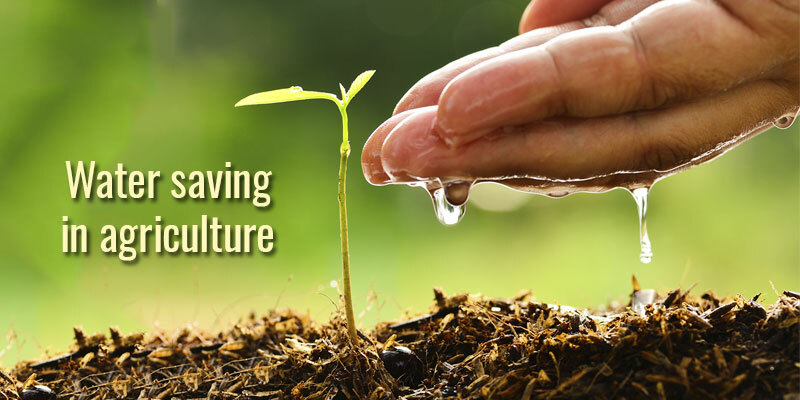 Everyone involved in agriculture, sooner or later, will have to reach the objective of an efficient water saving system for their crops. 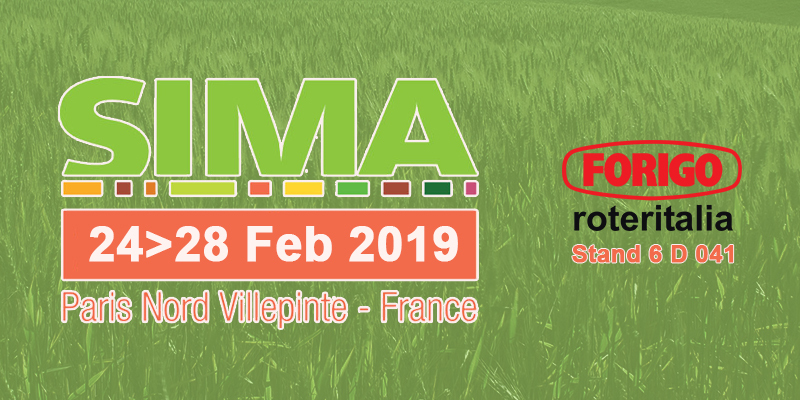 There are technological solutions and tillage technique as well which can help to reach that objective; in this way, not only will have a positive impact on the environment, but also will increase the productivity of your farm. A well hydrated soil will be an optimal starting point for increasing the production. We hope this article has been useful and inspiring for you. 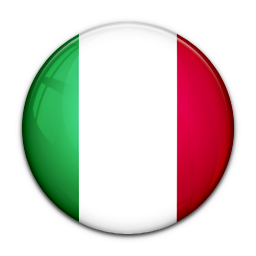 If you have any doubt or question do not hesitate to contact us! 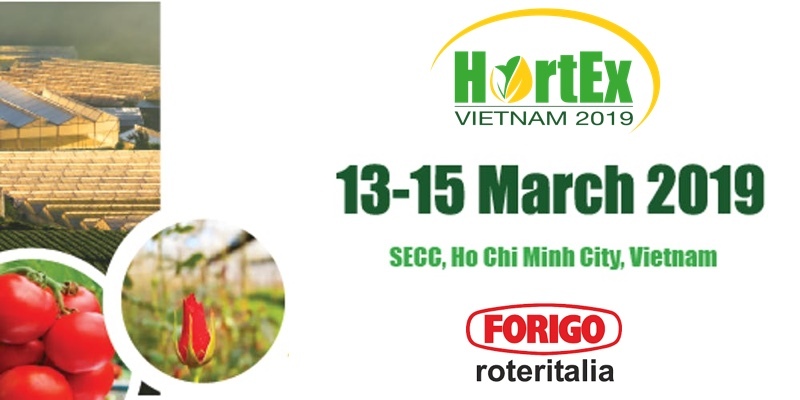 One of our Forigo experts will be glad to supply to you all the information you need.